If you have curiosity regarding apparel merchandising and wish to select it as your career then you should know well what is merchandising? Who is a Merchandiser? What is their responsibility? 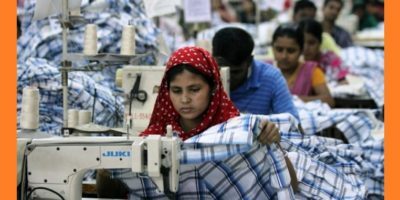 What role they have to play in garment industry? Why young generation gets fascination with apparel merchandising? Let’s focus all of the techniques boldly to be a successful garment merchandiser. I think you will get a sound idea on your dream career after reading this article. Merchandising is one sort of attempt to present new products to his desire customers. Merchandiser should consider all of the features of a product, including design, quality; product life-cycle, consumers buying ability, consumer’s behavior and demand during his preparation. The word Merchandise means buying and selling something to someone. The person who is dealing with the merchandise is called Merchandiser. If the individual engaged with apparel product, then the person is called Apparel Merchandiser. A merchandiser is a person who is specially appointed to promote the goods. He has to handle some buyers smartly to develop new samples, prepare forecast trends, check production plan, check stock levels and monitor how well goods are selling. He has to ensure raw-material pipeline through the supply chain and make sure that goods are available in the right store, at the right time and at the right price. Merchandising is one of the top-rated careers in the world. Someone who wishes to build a career in merchandising and want to become a successful merchandiser has to maintain some qualities. He who wishes to be a good merchandiser and curious to do the job in the apparel industry or buying house should acquire some particular quality to become success. He should have strong determination from early life and get prepared to obtain the goals. It will be easy those who have deep eagerness to gather knowledge in apparel merchandising. If someone got expertise on apparel merchandising through practical task can desire high salary within a short time and it will be exceeded his expectation. If you wish to become an efficient merchandiser then you should prepare yourself by following guideline. Here I have tried to compile all of these for your easy understanding. Someone can be a good merchandiser if he loves this task deeply otherwise his dreams may not come true. 1. A merchandiser has to communicate with bunch of parties. They should have sound skill in written and spoken English. Skill on other language may give them additional advantage. Excellent communication skill can expedite their career graph. Strong negotiation skills, visual and analytic abilities would be a plus point. 2. Knowledge about Computer literacy, Excellent in data searching through internet browsing and smart e-mail correspondence skill require to minimize workload. 3. A good merchandiser has to be a good planner also. He should maintain a critical path, time and action plan strictly to hit the delivery date. He needs to be tricky and expert to handle bottleneck situation smartly. 4. Acquire good knowledge of consumption and costing. They should know manual consumption and instant costing to obtain bulk order from bidding. He or she also needs to be a creative and innovative thinker. 5. If you have strong educational background that can help you to become a leader in this arena. 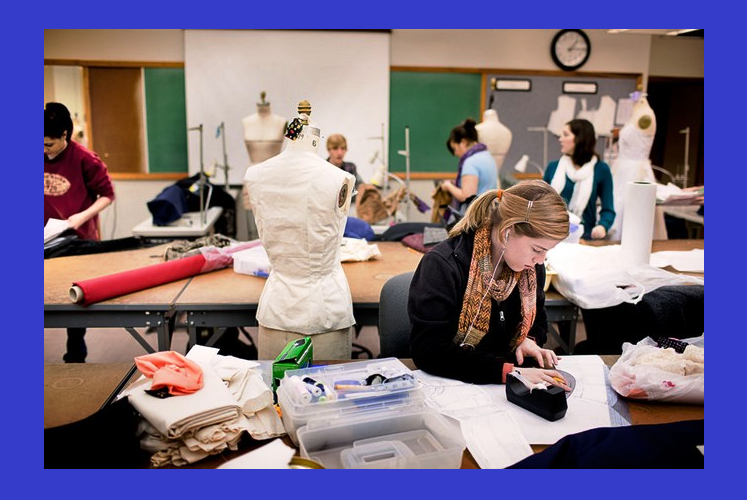 If you have fashion design or textile engineering background that will be well and good, but if you come from general line then try to get high school diploma or certificate course on apparel merchandising to develop individual skills as to be a good merchandiser. Academic degree will give you strong support to escalate your position. 6. Merchandiser has to make decision quickly. So he should be smart, intelligent; strong enough in personality and excellent behaviors. 7. They should have information of all Spinning mills, knitting mills, dyeing factories with their M/C and production capacity. 8. Know all sorts of knitted and woven fabrics as well as knitting/weaving patterns to make development. Knitted fabrics: The knitting patterns are Single jersey, Rib, Terry, Variable ribs, Drop needle, Interlock Pique, Fleece etc. Woven fabrics: The weaving patterns are Twill, Dobby, Jacquard, Poplin, Oxford, Corduroy, Checks, and Plaids. 10. Learn the basics of Apparel Merchandising day by day from the beginning of your career to become an expert as well as to hike your career graph. Never miss on-job training programs. Remember that on-job training programs will raise your confidence level tremendously. 12. Embroidery is an external ornamental task in garment industry. So merchandiser should have keen knowledge of the difference between all types of embroideries. 13. Earn Hands-On Experience to deliver right decision during crucial moments. And attempt to Build Industry Connections is Important to get better scope in this arena. Keep in close contact with anyone you meet in the industry. Networking is power. So try to increase networking by email or through social media to measure their willingness to help you to find better opportunity. 15. Merchandiser has to procure several items from different suppliers. So he should keep record of all yarn, fabric, and garments accessories suppliers address and contact details. 16. Merchandiser should have good idea on global business. Thus they should have good knowledge of Export and Import terms. 17. Make a habit of replying all emails without wasting any time. Keep conscious to provide meaningful reply within short time. 18. A merchandiser should empathize to gather practical knowledge about production process and technical issues to expedite his career graph. The issue whatever raise he should ask more to production people to listen more and learn more to make him expert. 19. Have to be sincere to his job and duties as well as to accomplish assign task. Test of presence of AZO, PVC, Formaldehyde or any other carsegonic substance in the garments. 22. They have to procure materials from different end of the world. Thus they should know all sea and freight forwarder details to make easy shipment. 23. They have to contact with forwarder regularly and must know all feeder and mother vessel schedule. 25. 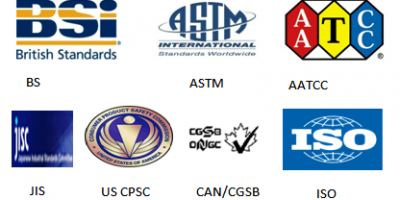 Know all technical or commercial terms for accurate and efficient communication. 26. They should have information of all garment trimmings and accessories sourcing like as Printing, Embroidery, Elastic, Poly, Hanger, Labels, Laces, Cartons and Garments manufacturing etc. 27. Always check all booking of fabrics and accessories before and after sending; if possible get it checked by third person. 28. Excellent power of motivation to handle any situation and improve public relations to achieve maximum benefits. 29. Be professional and keep commitment with Buyers and Suppliers. 30. Should have sound idea about commercial invoice, packing list, assortment, EP, IP, carton box shipping mark and buyer instructions. 31. Merchandiser has to handle several issues at a time. So always show positive attitude to resolve all problem. 33. Know all buyers compliance and various standards. 35. Clear conception of the usual potential Quality problem in Apparel merchandising. 36. They should have production-related all updated news like inputs- outputs, daily garments production records from the factory manager. 37. Merchandiser needs to take decision while any quality issue arises. Thus they should have good knowledge about usual Apparel Inspection System, Raw materials, AQL and Quality Management System. Sometimes they have to handle third-party inspectors. 38. Should know about the Quota system, L/C terms, Banking documentation and regulations, Free-trade and shipping. 39. A merchandiser needs to be a practical person. They never do anything on assumption, always get clarification and keep written records with date and time. Critical path is mandatory to be a good merchandiser. 40. They should visit production floor daily and should gather vast knowledge on technical issues and production process. He should find out the root cause and provide solution instantly to get a positive result. 41. They should visit supplier’s factory frequently that is textile mills, embroidery factory, and printing factory, accessories factory to make good relation and achieve sound idea on technical issues, production lead-time, and production process. 42. A smart merchandiser should have curiosity regarding update fashion trend. They should attend fashion related trade fair, Textile fair, Garments Fair to gather knowledge. A merchandiser is considered to be a pulse in the garment industry. They have to obey several tasks at a time. Thus they should become more diplomatic, industries and efficient. They should maintain a decent life to accomplish their assign tasks perfectly. Merchandiser should love his task deeply. I have compiled bunch of qualities what a merchandiser should exist. I am hopeful that these requirements, basic practical knowledge, and skills will be helpful to get merchandising career smoothly.